Ornaments from beads (trinkets and pendants). 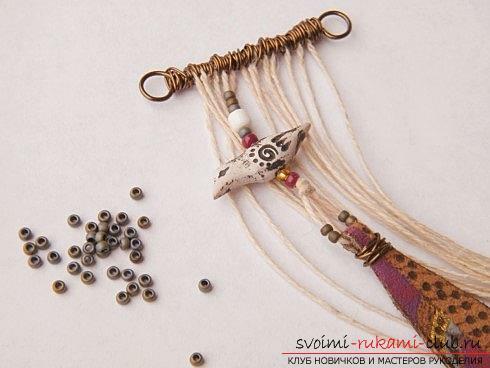 Master classes on weaving various charms and pendants with diagrams, photos and descriptions. Mounting for the key ring with a carbine clip. Thin line and monofilament (transparent). 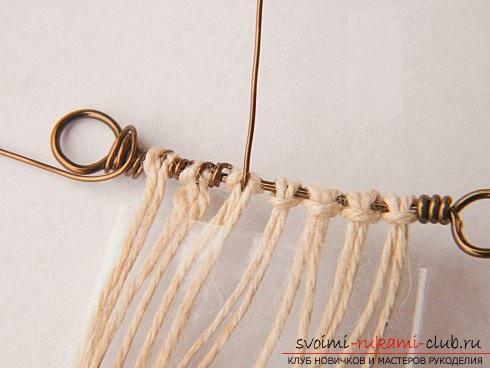 The work is carried out by monastic weaving on twothreads. 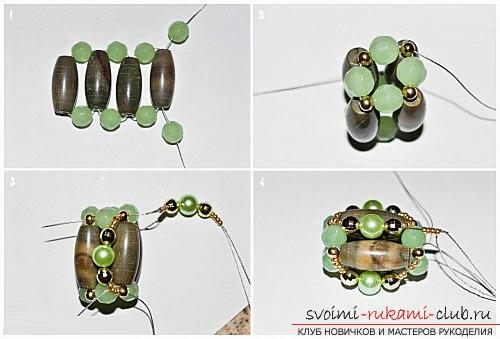 String 1 bead, 1 bead, 1 more bead. 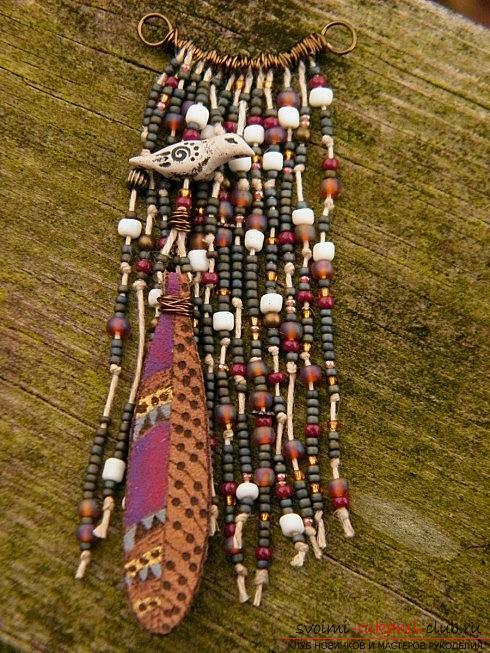 Place them in the center and cross the tails in the next bead. For the next cross on each ponytail, thread 1 bead and cross the tails in the next bead. Weave only 4 crosses, the fifth weave, strung one bead on one ponytail, and on the second 2 beads, cross the tails in a bead. 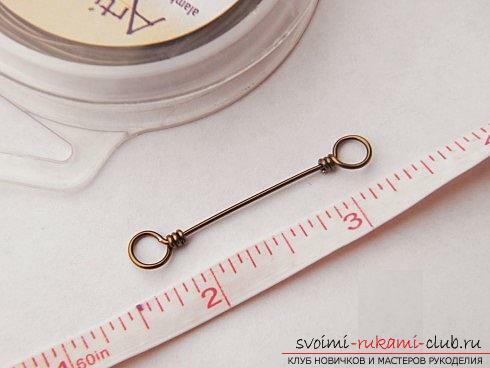 For the sixth and seventh crosses, repeat the previous two steps, but place two beads string on 3. The eighth and ninth crosses weave on 1 tail 1 bead on the second by 2 (on the same side as the previous magnifications). 10th cross on one bead on the tail. 11th cross to weave so on the side where there were increments strung 1 bead on the other (it turns internal) 1 bead, 1 bead and again it is a bead. 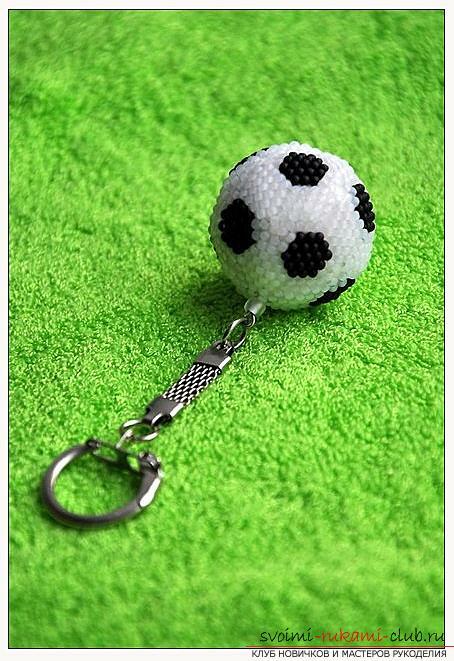 Cross the tails, as usual in a bead. 12th cross on both ponytails on 1 bead (like the tenth cross). 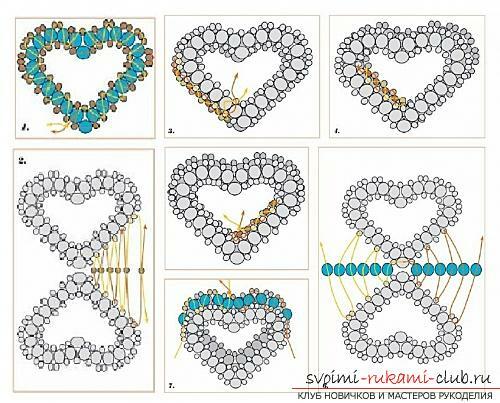 Then weave symmetrically the second half of the heart. Weave another such heart. Following the scheme, connect the two halves of the heart toexternal and internal perimeter. 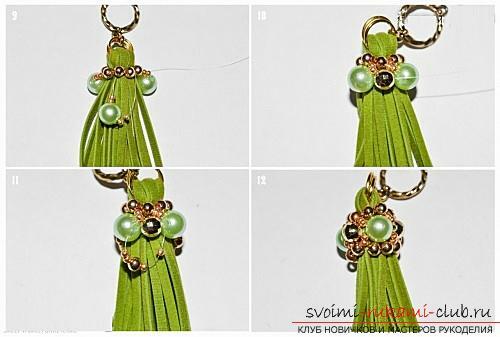 In order for the keychain to look more voluminous, a series of beads of a larger size can be weaved between its halves. Master classes on weaving various Christmas decorations, photos, charts, description Master classes for weaving plaits of beads of various sizes, photo finished products. 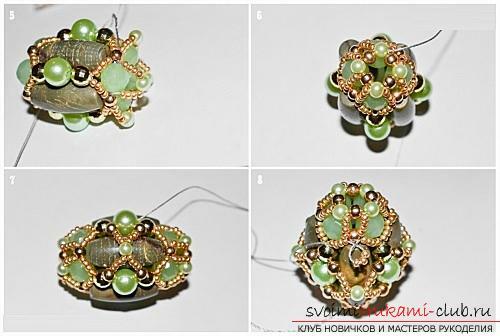 Free master classes on weaving earrings from beads with turn-based photos. 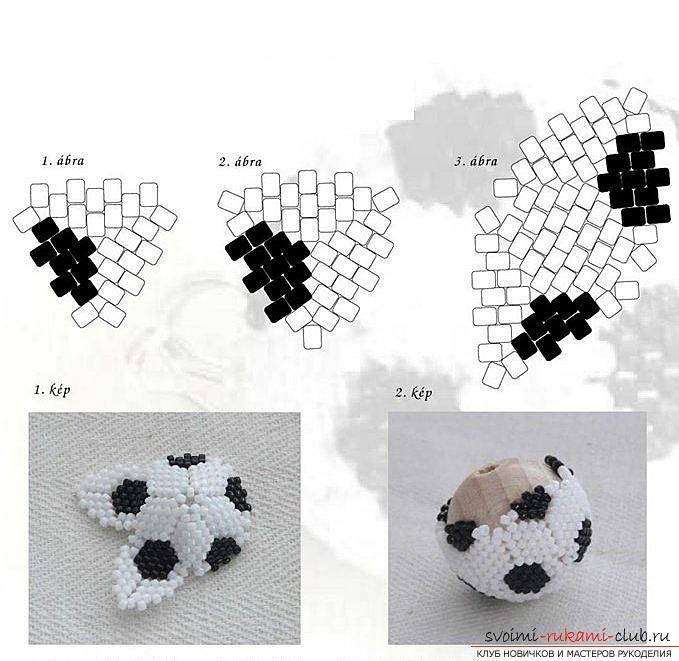 Free schemes and master classes with a photo on the weaving of baubles and beads. 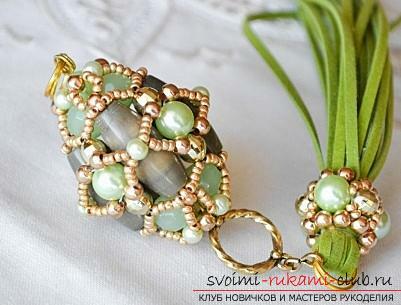 How to tie a ribbon crochet, master classes with diagrams, descriptions and photos. Step-by-step instruction for weaving a beautiful double braid with our own hands, advice, recommendations and photos for each of the stages of work.